What do you tend to grill when it comes to BBQ season? Is it shop-bought sausages, burgers and kebabs? Do you make your own? And, if so, how do you season them? I’ve got to admit, I’m often guilty of either buying ready-made stuff (if it’s a last-minute BBQ invite), or sticking to the same old recipes I always make. Not very exciting, I’m sure you’ll agree. 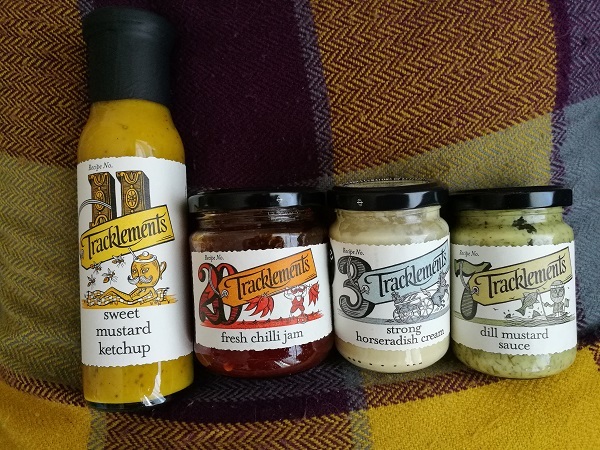 Wiltshire-based Tracklements make over 60 different artisan condiments, with their range including chutneys, jellies, mustards, ketchups, sauces and more. Every single product is handmade in small batches, and they know the origin of every single one of the natural ingredients they use. They’ve been around since 1970, and you can buy their range either online via their website or, in Bristol, from stockists that include Waitrose, Chandos Deli, Scoopaway and Henleaze Butchers. Step 1: Add the horseradish cream to the beef mince in a bowl, mix well, and add salt and pepper to taste. Shape into two burgers. Step 2: Chill if not using straight away. Before grilling, take the burgers out of the fridge and bring them closer to room temperature (they grill more evenly that way). Step 3: Place on the grill (or in a griddle pan, if cooking indoors), and cook on both sides until cooked to your liking. Serve in a wholemeal roll spread with a little more horseradish cream, your choice of cheese (yes, I have a bit of a thing for plastic cheese slices…), and any additional toppings you want. Step 1: Slice the halloumi as thick as you want. Pat dry with kitchen towel. 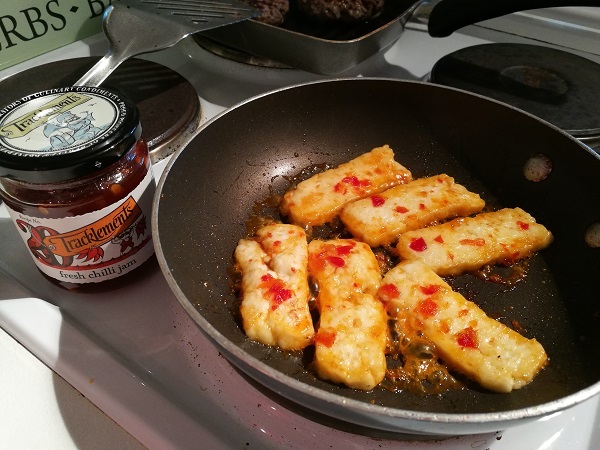 Step 2: Brush both sides of each slice with the chilli jam. Step 3: If cooking on the BBQ, place carefully on the grill and grill for a couple of minutes on each side until the cheese has griddle marks. To make it easier to turn, you could insert a wooden skewer lengthways through the cheese. If cooking on the hob, heat a small frying pan, and dry fry for a minute or two on each side until golden. Sausages are a BBQ staple. 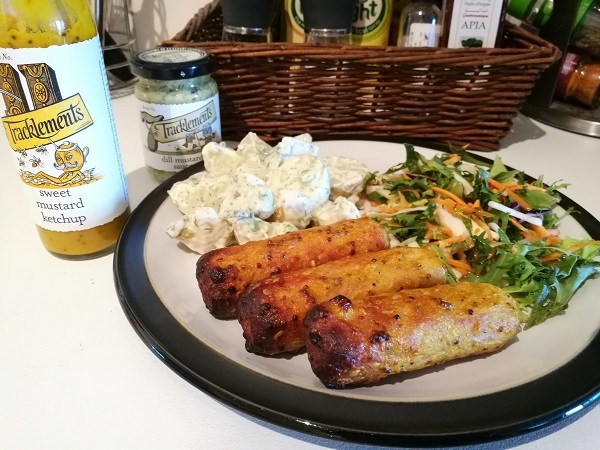 This recipe works best with plain pork sausages – flavoured sausages are best cooked as they come to get the full flavour. Step 1: Brush the sausages to coat with the sweet mustard ketchup. Step 2: Cook on the BBQ (or under the grill, if cooking in the kitchen), turning regularly to ensure that they are cooked through. A barbecue isn’t just about the grilled ingredients…what you serve with it is just as important! A green salad always goes down well, and a potato salad is a must – here’s an easy version with delicious dill and mustard flavours. Step 1: Boil the potatoes until tender. Drain and leave to cool, then cut into quarters or halves, depending on their size. Step 2: Make the sauce. 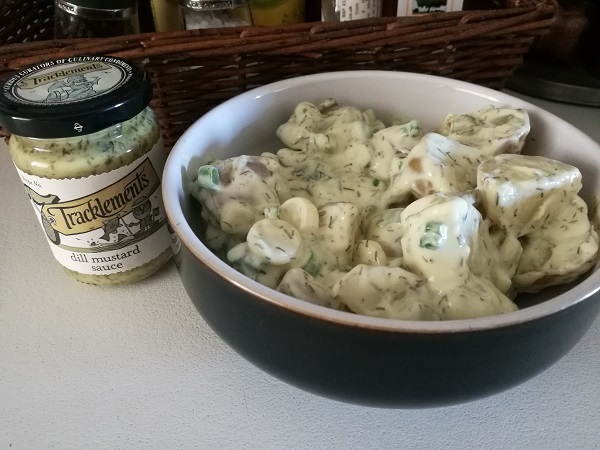 Mix the yoghurt with the dill mustard sauce, the spring onions and the cornichons, then stir through the potatoes until fully coated. Step 3: Chill until ready to serve, sprinkling with the remaining spring onions before serving. So there we have it. 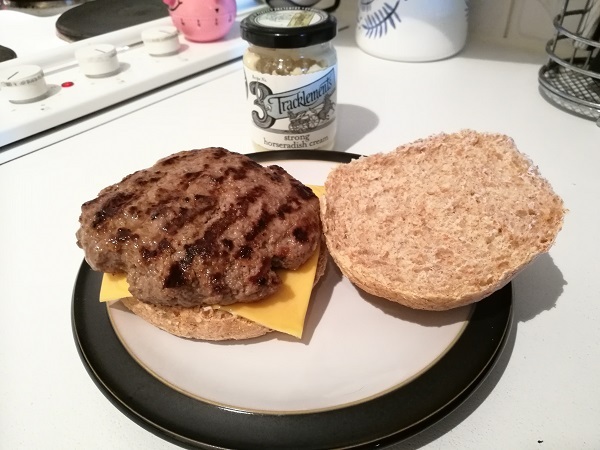 Four quick and easy barbecue recipes using Tracklements products: easy ways to add more flavour to your BBQ food without needing to slave away for hours to do so. What would you make with these four products? And is there anything else on the Tracklements website that you’d use in a BBQ recipe?